Our team at OnlineSportsBlog.com kept you up-to-date with all the latest transfer gossip and updates throughout the whole month. Make sure you stay follow all the latest developments on deadline day HERE! Can’t keep up with all the news and rumours? Don’t you worry! We’ve got you covered! Lazio have agreed terms with Genoa to take 31-year-old winger Romulo on loan for the rest of the season. According to multiple sources, the clubs struck a deal this afternoon for the 31-year-old. The Brazilian, who decided to play his international football for Italy, still has a contract with Genoa until the end of the current campaign. Romulo made 19 competitive appearances for Genoa this term, scoring one goal with two assists. MAN UNITED TO MAKE A MOVE FOR BERGWIJN? 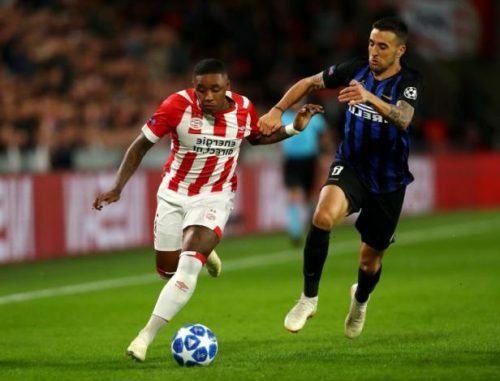 Manchester United are pondering making a move for PSV winger Steven Bergwijn, according to Sky Sports. According to the report, the Red Devils would have to part with at least £30 million ($40m) if they wish to land the 21-year-old. Berwijn, who has been directly involved in 18 goals in 18 league appearances for PSV this term, has a known admirer in the form of United scout Marcel Bout. However, a move is only likely to transpire in the summer, rather than the January window. Simone Edera and Lyanco Evangelista join Bologna! Torino have let Simone Edera and Lyanco join Bologna on loan while bringing in teenage left-back Alejandro Marcos from Barcelona. Edera and Lyanco have joined Bologna on dry loans until the end of the season and reunite with new Bologna boss Sinisa Mihajlovic, whom they worked under at Toro. Coming in, on the other hand, is Marcos, an 18-year-old left-back from Barca, although he will go straight into the Granata’s Primavera team. Newcastle United have completed the signing of Miguel Almiron from Major League Soccer side Atlanta United. The 24-year-old joins the Magpies on a five-and-a-half-year deal, which will see him remain at St James’ Park until 2024. Aston Villa have confirmed the signing of Tyrone Mings from Premier League side Bournemouth. The defender joins the Villains on loan until the end of the season. Anthony Martial has signed a new contract with Manchester United, which runs until 2024, with the option to extend by a year. “I am loving my time at this club,” Martial told the club’s official website. Newcastle United have announced the signing of Antonio Barreca on loan from Monaco. The defender has joined the Magpies on loan until the end of the season and there is an option to make the deal permanent. “I am very happy to be here. I have accepted this challenge with a great deal of enthusiasm and I can’t wait to start,” Barreca told the club’s official website. Manchester City have completed the signing of Hajduk Split midfielder Ante Palaversa, the club have announced. Lazio midfielder Milan Badelj is reportedly in talks over a possible return to Fiorentina. According to Tuttomercatoweb, Badelj’s agent Alessandro Lucci is in Florence negotiating with the Viola. The Croatia midfielder has started just seven Serie A games for the Aquile since arriving from Tuscany last summer. Prior to joining Lazio, the 29-year-old made 140 appearances for Fiorentina in four seasons. Celtic winger Lewis Morgan has completed a loan switch to Sunderland, as the Championship club has announced on Thursday. The 22-year-old moves to the Stadium of Light on a six-month deal, after only featuring in 13 games across all competitions for the Hoops this season. Morgan expressed his delight after joining the Black Cats: “I’m joining coaching staff I’ve worked with before, and once I got the opportunity to speak with them, my decision was made. SPAL have agreed a deal to sign Sampdoria defender Vasco Regini. Gianluca Di Marzio’s website reports Regini will move to SPAL on loan for the rest of the season with an option to buy. The 28-year-old has made over 100 appearances for Samp since arriving from Empoli in 2013 but missed the first half of the season with an ACL injury. Arsenal are set to miss out on the signing of Yannick Carrasco, according to the BBC. 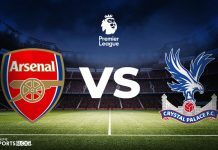 The 25-year-old was reported to be close to sealing a loan move to the Gunners from Dalian Yifang, but the clubs could not agree on a fee. Carrasco had also been on the radar of AC Milan, but it has been suggested that he will now remain in China. Fiorentina winger Valentin Eysseric has joined Nantes on loan for the rest of the season. The deal was confirmed by Nantes on Thursday morning, with the Ligue 1 club securing an option to buy Eysseric at end of his loan. It marks a return to French football for the 26-year-old, who represented Les Bleus at youth level and previously played for Monaco, Saint-Etienne and Nice. Eysseric moved to the Viola in the summer of 2017 but went on to make just 31 appearances at the Artemio Franchi. The Ligue 1 side Saint-Etienne have confirmed the signing of Youssef Ait Benasser from Monaco. The 23-year old signed a loan deal until summer with the French club. The Moroccan has two assists in 19 appearances up till now this season. Martin O’Neill’s chances of earning promotion to the Premier League with Nottingham Forest have been given a boost after the club signed Pele. The 27-year-old arrives at the City Ground from Ligue 1 side Monaco. Wolves have confirmed that Jonny Otto will remain at the club until 2023 after making his loan deal permanent. Parma have insisted that defender Bruno Alves will not be leaving the club for Juventus or anyone else today. Alves had been increasingly linked with Juve after Medhi Benatia’s departure was followed by an ankle injury to Leonardo Bonucci. However, sporting director Daniele Faggiano told Calciomercato.it: “Nothing’s been done for Bruno Alves. The 37-year-old only joined Parma from Rangers last summer and has played 20 times for the Gialloblu this season, helping them to 12th place in Serie A.
Peter Crouch is expected to make a return to the Premier League, with reports indicating that a move from Stoke City to Burnley is imminent. The former England international, who turned 38 yesterday, is believed to be moving to Turf Moor as part of a deal which sees Sam Vokes go the opposite direction. West Ham are lining up a move for Chelsea midfielder Danny Drinkwater, reports talkSPORT. The former Leicester City star has struggled to replicate his form for the Foxes with the Blues and is eager to secure regular first-team football. Former Inter defender Lisandro Lopez has ended his loan spell with Genoa to sign for Boca Juniors. Lopez only joined Genoa on loan with an option to buy last summer but played just once in the Coppa Italia. Boca have not disclosed the terms of their deal for the 29-year-old, but PianetaGenoa1893 reports it is a permanent transfer. MAJOR HINT FOR FELLAINI MOVE TO CHINA? Marouane Fellaini is at the airport, presumably on his way to China. He is expected to leave Manchester United for Shandong Luneng. Manchester United midfielder Marouane Fellaini has been spotted at an airport in Brussels ahead of a proposed £10m ($13m) transfer to China on deadline day. 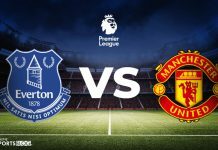 As confirmed by Goal, United had been in discussions with a Chinese Super League club over a deal for Fellaini, with the 31-year-old having now reportedly agreed on personal terms over a three-year deal with Shandong Luneng. Everton midfielder James McCarthy is set to join Crystal Palace, according to a report in the Irish Independent. The Republic of Ireland international has been plagued by injuries in recent seasons and is believed to be eager to reinvigorate his career with a fresh start. The Sardinian club have officially signed CSKA Sofia and Bulgaria forward Kiril Despodov on a 4-year deal until June 2023. The 22-year-old is primarily a right-sided winger, but can also play in a support striker role or on the left. He has one goal in just two senior caps for Bulgaria. Despodov scored 10 goals with 11 assists in just 22 competitive games for CSKA Sofia this season. The contract with Cagliari runs to June 2023 and the club has an option to extend to 2024. Sassuolo have officially signed defender Merih Demiral on loan with a €7m obligation to buy from Alanyaspor. The 21-year-old centre-back arrived this morning for his medical and signed the contract. A statement on the Sassuolo website confirmed he has moved on loan with an obligation to buy at the end of the season. It’s reported the cost of the operation is approximately €7m. Demiral has chosen shirt Number 3. Shinji Kagawa’s move to the French club Monaco has broken down, reports Bild. The Ligue 1 side could now turn their interest to Tottenham’s Georges N’Koudou. However, there could still be a last-minute move for the Japanese international, with Besiktas believed to be interested. Galatasaray have confirmed that they are in talks with Marseille over the signing of Kostas Mitroglu. The 30-year-old Greece international, who lists Benfica, Olympiakos and Fulham among his former clubs, is being lined up for a loan move. The Foxes are very close to a loan deal for Belgian midfielder Youri Tielemans from Monaco, but according to the Leicester Mercury, they will not have the option to buy included in the deal. The Belgian will arrive today in Leicester with Adrien Silva making his way to Monaco in exchange. According to the Washington Post, Paris Saint-Germain have made a bid for D.C. United Star Luciano Acosta worth $10 million. The former Boca Juniors and Estudiantes midfielder has been playing in the MLS for the past 3 years and could now be on his way to Europe for a new experience. The former Juventus player has left MLS side Toronto FC and joined Saudi Arabia club Al-Hilal. Toronto FC are expected to receive a fee of around $2-3m for the player who turned 32 last week. Italy international Giovinco came to Toronto and MLS in February 2015, going on to score 83 goals with 51 assists in 142 competitive games. The Blancos want to make a move for the young English forward before he signs a new contract with the Red Devils. Real Madrid are ready to offer £100 million for Rashford before the summer, according to The Sun. The Spanish club have promised Rashford that he would be their number one strikers and also they would offer him a better contract than the current one. Chelsea midfielder Lucas Piazon will join Serie A side, Chievo Verona, as reported by Sky Sports Italia. The Brazilian has been loaned out five times since joining the Blues in 2011, playing for Malaga, Vitesse, Eintracht Frankfurt, Reading and Fulham.